Omega 3 Fish Oil Caps are Good for your heart. Helps to regulate cholesterol levels and helps to avoid stiffness in joints. Not all fats are unhealthy omega 3 EPA and DHA fatty acids are one of the “good” types of fatty acids. 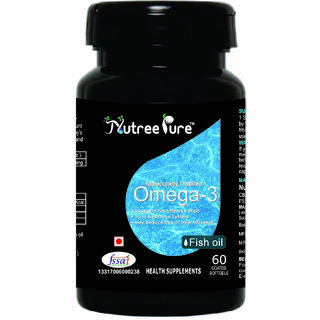 Fatty acids from food such as cold water fish is the best source of omega 3 fish oil. However, if you do not like to eat fish, dietary supplements are an alternative source of EPA and DHA omega-3 fatty acids. Omega 3 fatty acids may provide heart health benefits, may lower your blood pressure or may reduce inflammation. Many people claim that they notice a difference in how they feel. Your body can’t make these types of fatty acids, you obtain them through foods you eat or by taking it in a supplement form. A non-concentrated formula with all of its constituents in a natural balance, omega-3 is a great way to maintain healthy levels of EPA and DHA. Each serving supports heart and brain health, cognition and healthy immune function. Each capsule of the wow omega 3 has the right amount of nutrients to give you your daily requirement of omega 3 fatty acids. Daily dose of heart-healthy EFAS may help to reduce the severity of coronary problems by maintaining a healthy heart and reducing bad cholesterol. Fish oil is also beneficial for joints, bone development and plays a crucial role in brain cell regeneration. Wow omega 3 has been created to bring the best omega 3 essential fatty acids in a most optimal, health-friendly EPA: DHA ratio. 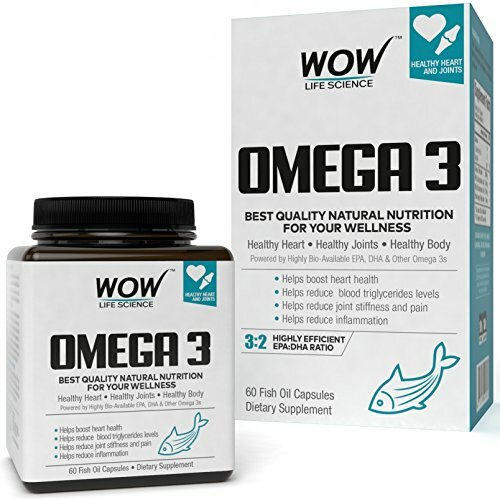 Every capsule of wow omega 3 packs 1000mg of purest EPA, DHA and other omega 3s which provide with optimal heart and joint friendly nutrition which regular day-to-day food may lack.